 This August some of Securing Smart Cities supporters presented at Defcon. In their talks they have covered several important topics related to smart cities. We thought it would be too irresponsible to limit the audience of those talks to only those who actually attended them during the con. So, today we are releasing two new papers based on the content presented in Vegas. The first paper is called “Fooling the Smart city”. It was created by Kaspersky Lab experts Denis Makrushin and Vladimir Dashchenko. These folks travel a lot and while they travel they test the security of smart things they encounter in smart cities. This time they’ve focused their efforts around the smart terminals used in airports, train stations, movie theaters e-government services, taxis etc. And they’ve also tested some speed camera systems and have found that some of them are available to anyone on the Internet. The second paper has been prepared by Matteo Beccaro from Opposing Force, and Matteo Collura from Politecnico di Torino. Their research focuses on things like smart parking, public transportation and the shared transportation solutions used in several cities. Their detailed report is available here. As always, Securing Smart Cities publishes information for the sake of the public good. We expect these papers will find their way to the technical people responsible for the implementation of smart technologies in modern cities and will help to make these technologies safer and smarter.